On this page there is children’s furniture – for furnishing of kindergartens, other child care institutions, children’s camps, sanatoriums, boarding schools and so on. 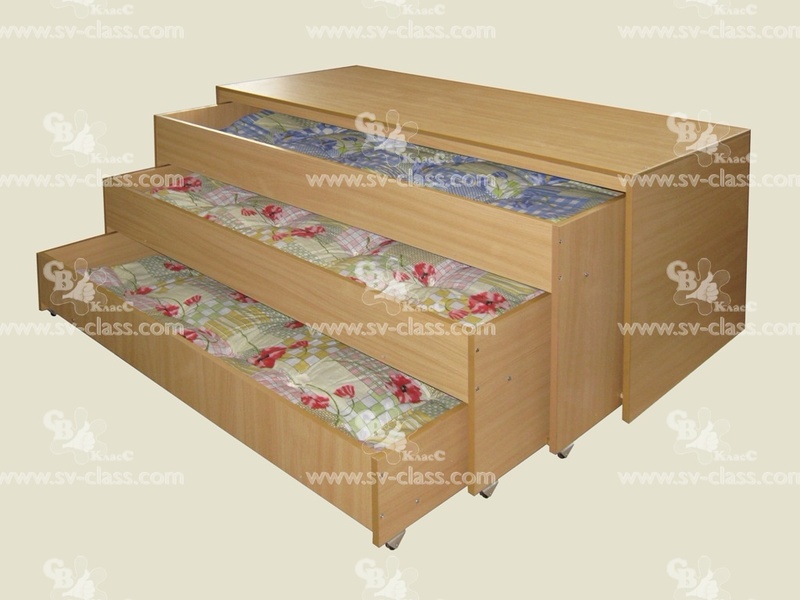 On request the furniture can be produced using several colors of laminated chipboard. 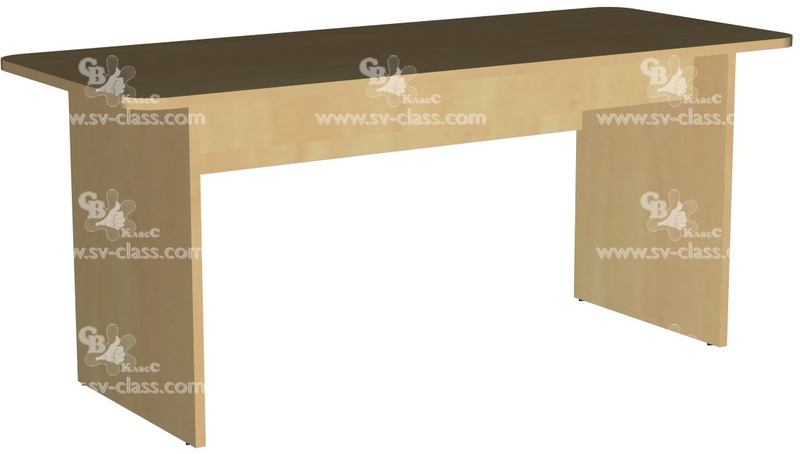 The table consists of the top with rounded corners, two vertical side boards, the connective board and the panel for stiffness, which is located under the top cover. Sizes (W х H х D): 1200 х 520 х 500 mm (2nd height groups). The table consists of the upper and lower parts. 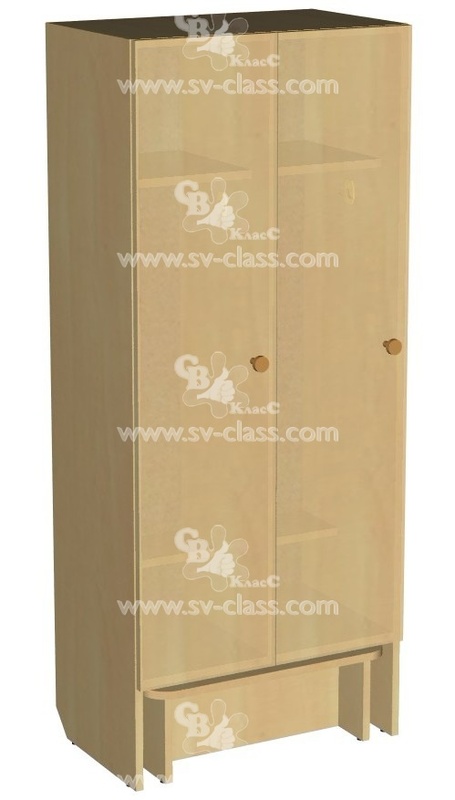 The upper part consists of the top with rounded corners, two vertical side boards and the panel for stiffness. The lower part consists of two vertical side boards and the connective board. The upper and the lower side walls are fastened to each other at any of three levels, so you can change height of the table. 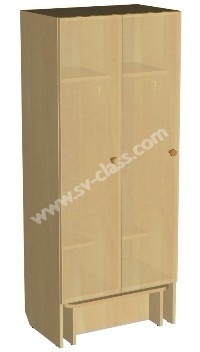 Sizes (W х H х D): 1200 х 460/520/580 х 500 mm (according to 1-3rd height groups). 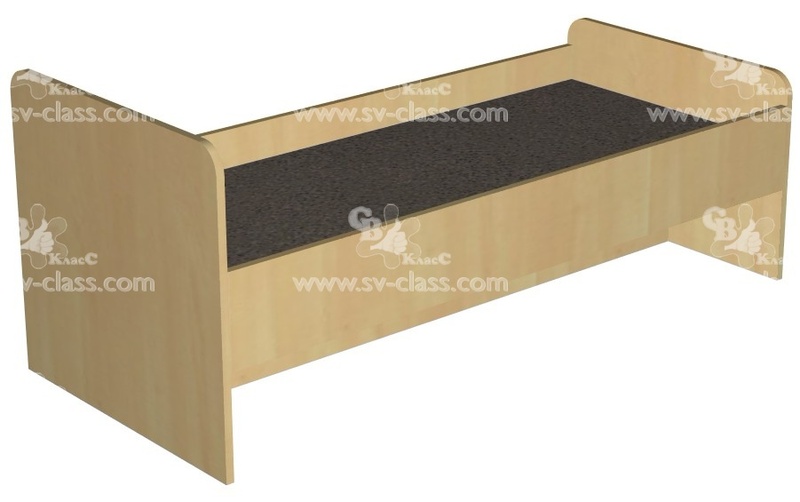 The bed consists of two backrests (head and foot), which are connected by two side-bars and a hardness board. The bad bottom is made of MDF (6 mm). 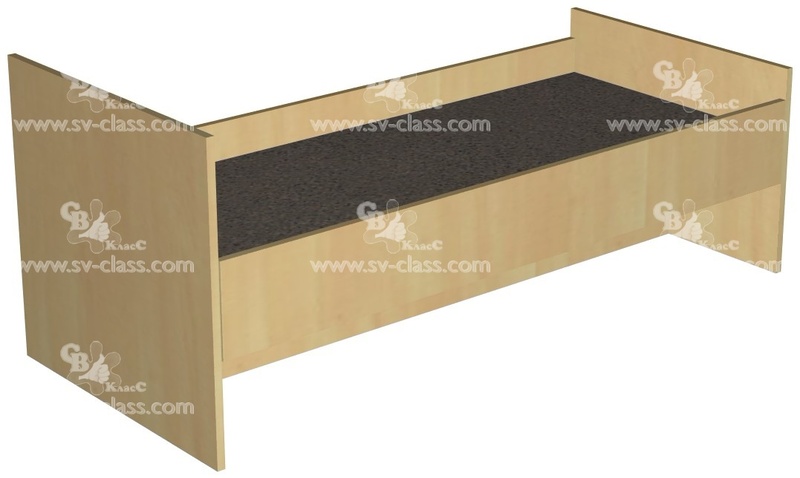 On a customer demand, for an extra charge, the bed can be equipped with a mattress and (or) manufactured with rounded corners of the backrests. Sizes (W х H х D): 1432 х 600/450 х 634 mm. Bottom's size (W х D): 1400 х 600 mm. The bed consists of the three sleeping sections (beds). The sections are located at different levels and have fastened wheels (except the upper stationary section) to roll the beds into each other. Each section has a hidden metal rectangular frame. The wooden panels of the section are fastened to the frame. Each sections' bottom is made from MDF (6 mm). On a customer demand, for an extra charge, the bed can be equipped with a mattresses. Sizes (W х H х D): 1464 х 664 х 686 мм. 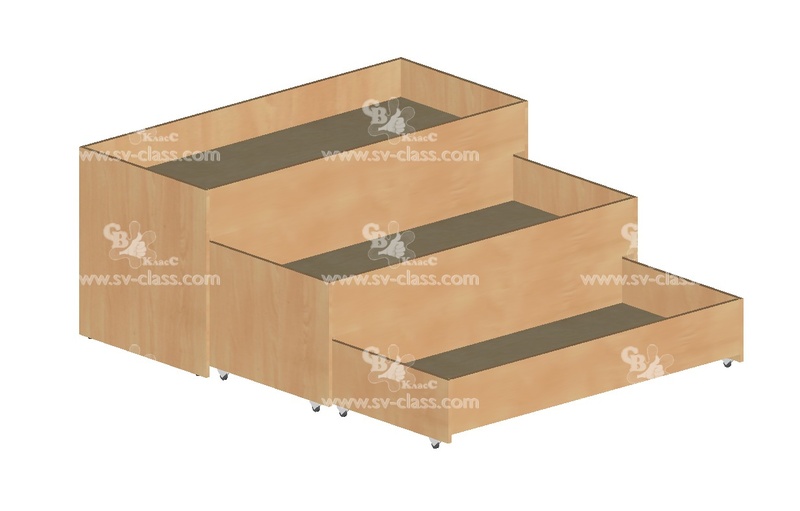 Bottom's sizes (W х D): 1430х600, 1370x600, 1310x600 mm. 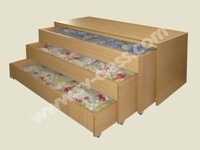 The bed-case consists of the case and three sleeping sections (beds). The sections are located at different levels and have fastened wheels to roll the beds into each other. Each section has a hidden metal rectangular frame. The wooden panels of the section are fastened to the frame. Each sections' bottom is made from MDF (6 mm). On a customer demand, for an extra charge, the bed can be equipped with a mattresses. Sizes (W х H х D): 1560 х 720 х 700 mm. 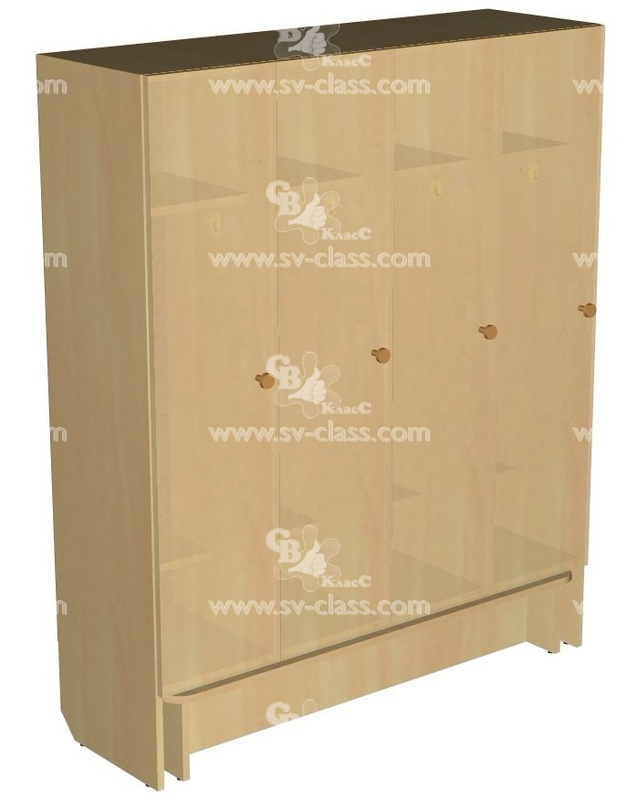 The cabinet consists of four sections. In each section there are two hooks and two stationary shelves: at the top - for headdresses, at the bottom - for shoes. Sizes (W х H х D): 1160 х 1405 х 370 mm. 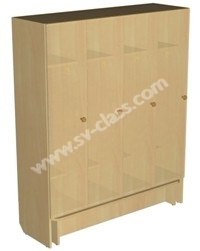 The cabinet consists of two sections. In each section there are two hooks and two stationary shelves: at the top - for headdresses, at the bottom - for shoes. Sizes (W х H х D): 580 х 1405 х 370 mm. See this site in Russian , Turkish. 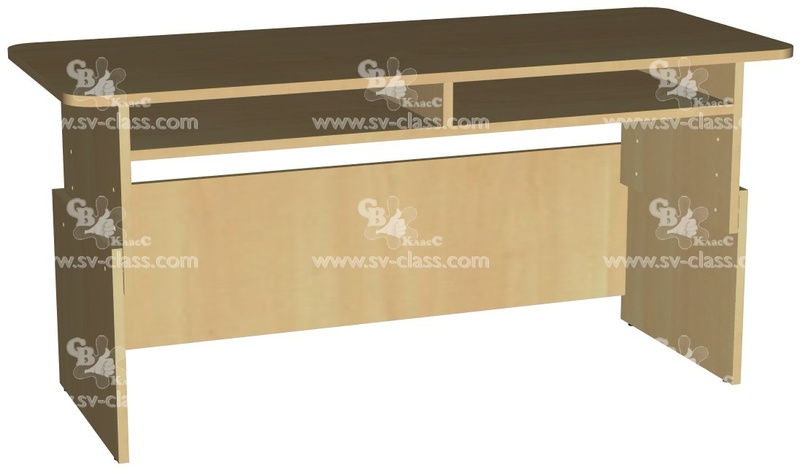 © Unitary enterprise «SV CLASS» — Belarusian manufacturer of school furniture, 2019.